We are entering the last few weeks of the semester and we are in the final stretch! We have another video explainer that addresses the different neighborhoods the students are writing about – so stay tuned for when that will be posted on inewsource! 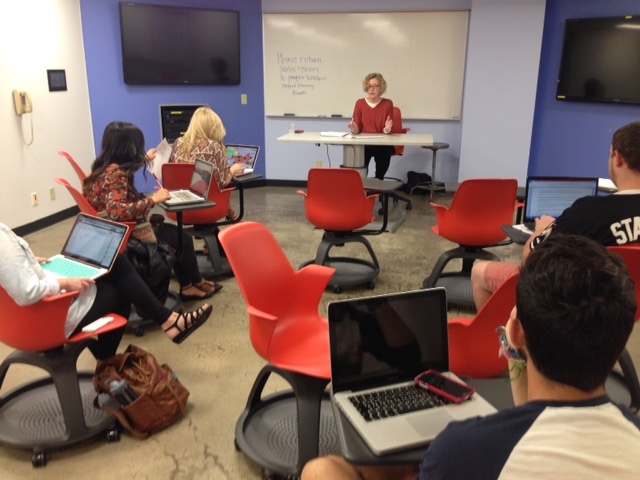 Susan White and her visit to class. This week we had two great guest speakers. First, we had Susan White. She is an experienced journalist who was a part of two Pulitzer-prize winning teams and shared with the students her experiences in journalism and gave tips to the students on their air quality stories. Carolyn Baber presenting to the students on data management strategies. 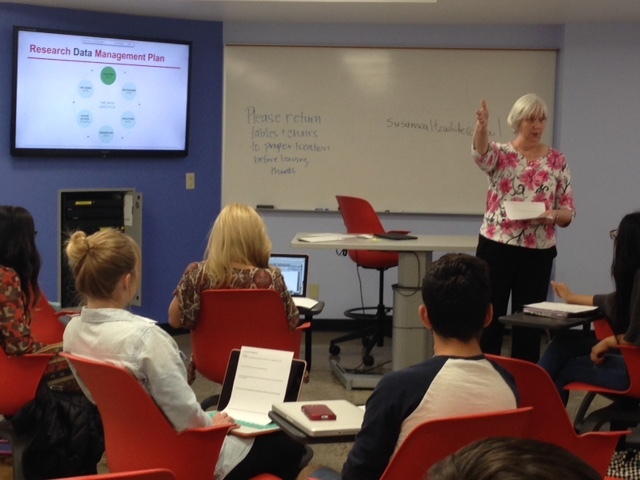 Second, we had Carolyn Baber, assessment and instructional services coordinator from the SDSU Library, talk with us about a data management plan. 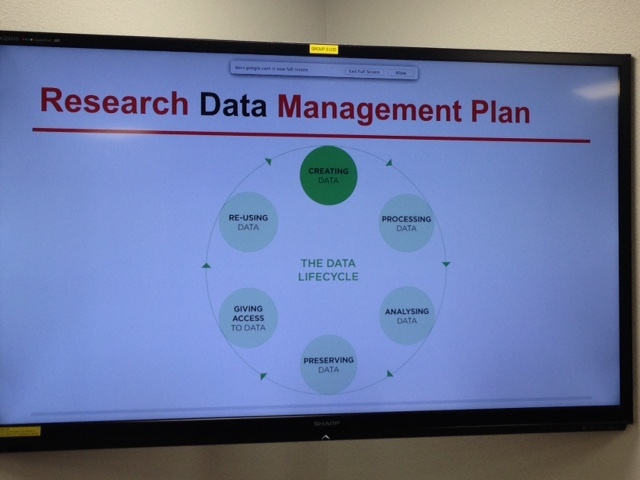 Data management plans are not just for researchers but also apply to journalists. During her talk, she asked us important questions – How will the data be collected? What we will do with our sensor data? How will it be housed and preserved for the long-term? Who will own the data and what can be done with it after this project is over? How will we share our data? What are the ethical and legal implications of our data? Data management plan presented by Carolyn Baber. She gave us a lot to think about as it relates to the sensor data we have been collecting this spring in class. On Wednesday, we gathered together and went through a checklist of questions Carolyn gave us and created our own Data Management Plan that allows us to know how we will manage, administer and maintain our data after this project is over. Follow Our Sensor Journalism Progress - Follow Our Blog!